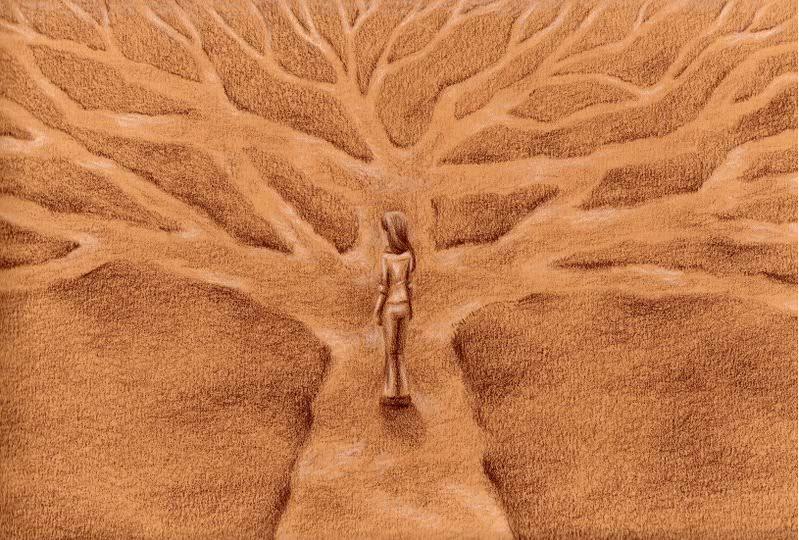 More than one religious philosophy states that the path of attainment and spiritual growth is straight and narrow. The implication is that the pathway to enlightenment is arduous and precarious. Yet in reality, spiritual growth and enlightenment are attained not by the attributes of the path taken but by the degree of focus, diligence and discipline while traveling that path. We would like to suggest that the pathway to enlightenment can be wide and multi-directional. The spiritual path demands focus but not narrow-mindedness. It asks for diligence but not alienation from the world in which you live. It speaks of discipline but is not a litany of rules and regulations. The pathway to paradise is like a meandering stream through a green, lush valley of opportunity and experience. This flexibility and freedom leads to ease and grace upon the spiritual path. The more rigid and narrow your thoughts, the more difficult to incorporate your belief system into your life. In truth, the creative force of All That Is is gracious, patient and forgiving of an individual’s errors in judgment caused by misinformation, misunderstanding or misdirection. It may appear the path to spiritual growth is lax and unfocused, but truly the path varies and is adaptable to all situations and circumstances in your life. The spiritual path for you may not be the path for another, and what you perceive as truth may not be seen as such by another. There are many pathways to paradise and that is as it should be; for, the collective consciousness of All That Is is made more full by the individual exploration of its parts. There is a saying, “All roads lead to Rome,” because the journeyers destination was Rome. We say, “All roads lead to enlightenment,” if the journeyers destination is enlightenment.